Pokémon Go’s biggest update ever will begin to roll out to players across starting today. Nearly a year after the iOS and Android game launched, Pokémon Go’s gyms have been majorly reworked, and a major cooperative multiplayer feature is on the way too. Polygon got the chance to try Pokémon Go’s new gyms during E3 2017, and I came away feeling cautiously optimistic. I wasn’t a huge fan of how gyms worked prior to the update; they suffered from top-tier players camping out at them forever and lacked the competitive incentives of the traditional games’ gyms. These are among the things Pokémon Go’s gym update is meant to correct. Gyms will now have way more to offer players who may not like fighting in them. Every gym is getting a photo disc to spin, just like PokéStops, so players can collect items from them. What’s most interesting is a new mechanic that gives pacifist players a reason to visit gyms. Every Pokémon that’s housed at a gym — now up to six instead of the original three — has something called a motivation factor, which is represented by a heart that fills up or depletes over time. To keep a Pokémon at a friendly gym happy and strong, players can feed them berries. Anyone can do this, as long as they’re on the right team — so even if you don’t like fighting, you still have a reason to visit a gym. 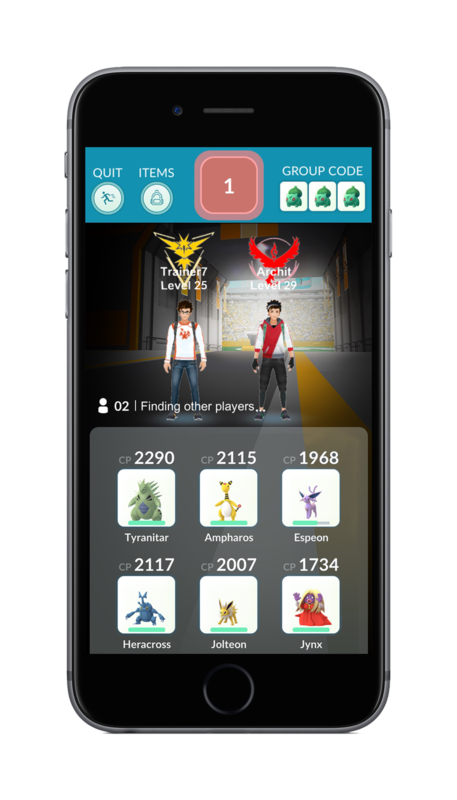 One of the main issues with Pokémon Go’s gyms initially was that battles would become increasingly difficult as players climbed the ladder. This became repetitive, as members of Niantic described to us during our demo; it also meant that lower-leveled trainers stood little chance of making it to the top. The revamped gyms have players take on Pokémon based on the order in which they were placed at the gym. The goal there is to make it possible for anyone to finish an entire gym. Fighting at a gym can still feel like a bland or solitary affair, all these new additions aside. It’s still just tapping the screen repeatedly, swiping left and right to dodge attacks, fighting with a mechanic that doesn’t work as well as the turn-based battles of traditional Pokémon games. 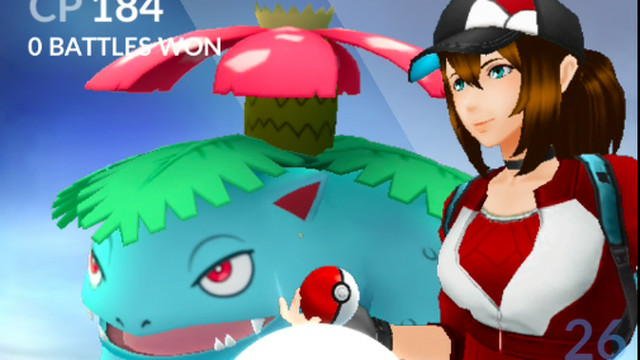 Niantic hasn’t really done anything to change up the fiddly nature of fighting in Pokémon Go, but another big content update addresses the asynchronous single-player nature of it. Dataminers found hints that raids were coming to Pokémon Go earlier this year, and I got to try out how this new mode works in the actual game. It’s the first truly cooperative system Pokémon Go has: A countdown timer randomly appears above gyms, and when it goes off, a giant, very strong Pokémon will appear. Approaching it will commence a Raid Battle, which supports more than a dozen players at once, all of whom work together to take that Pokémon down. Everyone is given a ticket to participate in one of these a day, while premium passes let players play more than one Raid daily. There’s no getting around the fact that battles in Pokémon Go just aren’t as fun as they could be, because of how reductive that core mechanic is. But playing a Raid Battle alongside a few other journalists — and my Pokémon Go-obsessed editor-in-chief — did feel closer to what I wanted this game to be back when it was in beta. Defeating the same Pokémon at the same time, seeing other team members’ Pokémon on-screen while doing so, is an exciting bonding experience. It’s a group achievement unlike anything else in Pokémon Go. It will be interesting to see just how much Raids and the wide-ranging gym updates shake up the game. Will it bring more people back into the fold, especially now that the weather’s picked up? Pokémon Go isn’t hurting for daily users — it recently crossed the 750 million mark — but for lapsed trainers, the ability to actually play alongside people and approach those intimidating gyms could be a reason to return. It also helps that Niantic is also working with Ingress players to finally add more portals into that game, which translate as PokéStop locations in Pokémon Go. Those in more isolated areas can hope to actually find more places to go — and Pokémon to catch — in the coming months. We’re eager to see how this latest evolution of Pokémon Go plays out. 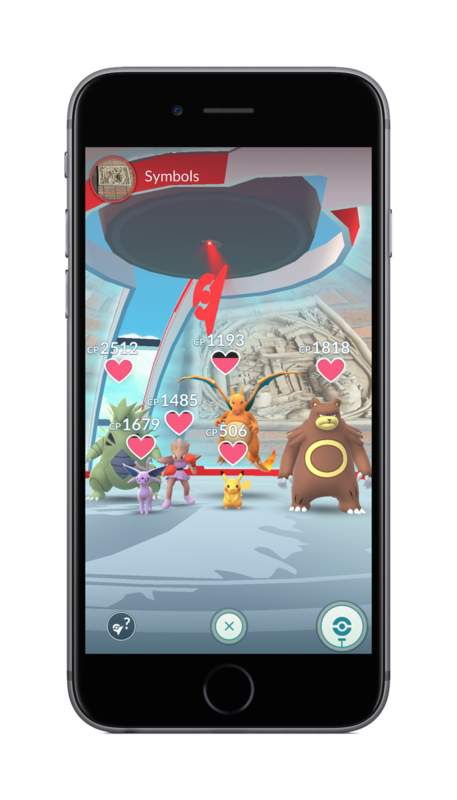 Keep checking your phone to see if the gym update is live in your area; maybe we’ll see you in a Raid sometime soon.